Melanie Dobson | Where does Inspiration Originate? Writing historical and time-slip fiction is really just an excuse for Melanie Dobson to explore ghost towns, interview fascinating people, and spend hours reading old books and journals. 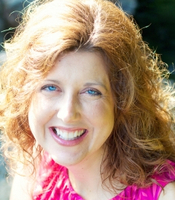 Melanie is the award-winning author of fifteen historical romance, suspense, and contemporary novels. Three of her novels, Chateau of Secrets, The Silent Order and Love Finds You in Homestead, Iowa, have received Carol Awards, The Black Cloister was named the ForeWord Religious Fiction Book of the Year, and Love Finds You in Liberty, Indiana won best �Fiction of Indiana�. Melanie received her undergraduate degree in journalism from Liberty University and her master�s degree in communication from Regent University. Prior to her writing career, she was the corporate publicity manager at Focus on the Family and the owner of Dobson Media Group. Melanie met her husband, Jon, in Colorado Springs, but since they�ve been married, the Dobsons have relocated numerous times with Jon�s work including stints in Virginia, Tennessee, North Carolina, Colorado, Berlin, and Southern California. Along with their two daughters, Karly and Kiki, they now enjoy their home in the Pacific Northwest. The entire Dobson family loves to travel and hike in both the mountains and along the cliffs above the Pacific, and they enjoy serving together with the orphan care ministry in their church. When Melanie isn�t writing or playing with her family, she enjoys teaching fiction writing, line dancing, and reading historical novels.